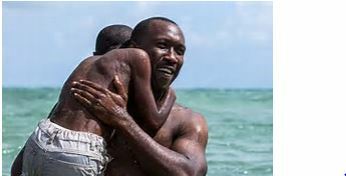 So how did tiny little “Moonlight” with the smallest budget in the world upset the mighty “La La Land” at the Oscars? Well, there are several reasons. The Oscar membership changed this year. 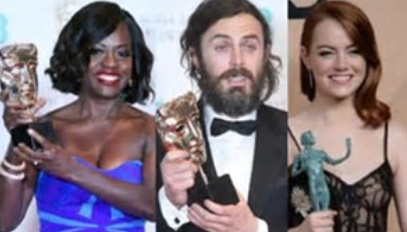 In reaction to #Oscarssowhite of LAST year, the Academy did the unprecedented and admitted over 300 new members, many of them people of color and internationals(I hate that word “Foreigner”.) And that changed things up big-time or in the case of “Moonlight” small-time. OR it was just enough of a voting majority to tip it one way, and not the other. Remember this can happen with only ONE vote. Yes, arcane but true. The Election. They wanted to make a political statement. And by honoring “Moonlight” they certainly did. Timing. “La La Land” may have peaked a bit early. Early enough to make voters re-think it. They didn’t like “La La Land.” I kept hearing this over and over again, and you can look back in this blog to earlier months and see that I did not that for these reasons it could be ANOTHER movie. “La La Land” was thought of as pure, but enjoyable piffle. There were FOUR racially themed movies in the nine that were nominated. “Hidden Figures”, “Fences”, “Moonlight” and yes, “Lion.” You can read my championing of “Lion” several posts back. I FELT the ground shifting, and thought that after The Election of Elections, they Academy, still mainly VERY far left peeps wanted to make a statement, and again, they did. The four racial movies split the vote.